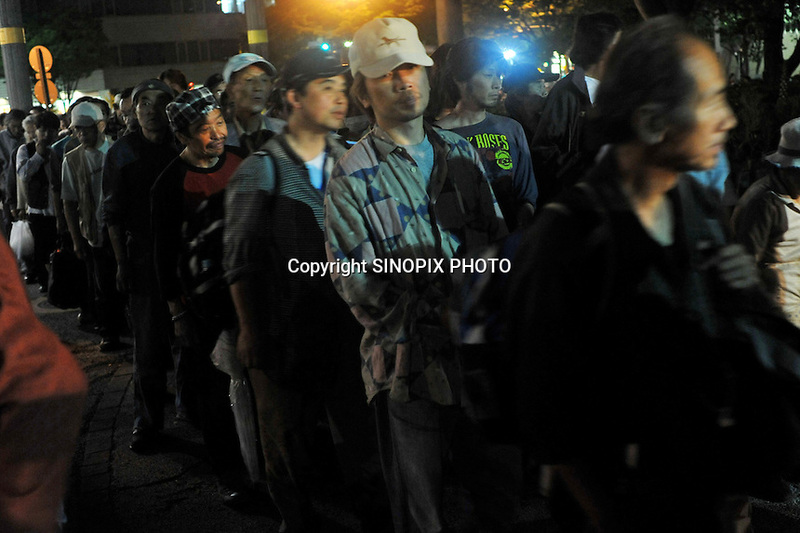 Homeless queue for food in Central Tokyo's Shinjuku Park, Sunday 7th June 2009. Almost 700 homeless queued for food every Sunday provided by a volunteer group. After the subprime crisis hitthe Japanese GDP contracting 15.2 per cent in the first quarter, the worst in 55 years and 800,000 workers have lost their jobs in the last few months and the numbers of homless has rocketed.